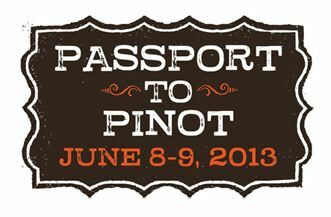 Annual Passport to Pinot Weekend Sponsored by the Russian River Valley Winegrowers (RRVW), this event will take place June 8 & 9 from 11:00 AM to 4:00 PM. More than 30 wineries will participate. This link provides specific information about the weekend events: www.rrrvw.org/passport-to-pinot/. This year’s event programming will be greatly expanded in 2014 as the Pinot Classic will debut June 12 to 15, 2014, offering winemaker dinners and receptions; barrel, vertical and library tastings; private and public winery tours; and a grand barrel auction and dinner. 9th Annual Pinot Days San Francisco Grand Festival Public Tasting A very large gathering of Pinot Noir producers, primarily from California, on Sunday, June 30 at Festival Pavilion, Fort Mason, San Francisco. Three seminars are offered on Saturday, June 29, including “A Sojourn Through The Many Styles of Northern California Appellations,” “Celebrated Vineyards: Keefer Ranch, Pisoni, Bien Nacido and Gap’s Crown,” and “Jean Charles Boisset Focus Tasting.” Tastings are also scheduled at various area retailers the week before the Grand Festival. For tickets visit www.pinotdays.com. Pali Wine Co. Secures Long Term Lease on Huber Vineyard in Sta. Rita Hills The Huber Vineyard was first planted by Norman and Traudl Huber in 1987-88, making it one of the oldest vineyards in the Sta. Rita Hills AVA. The vineyard is planted to 8 acres of Pinot Noir clone 115 and 3 acres of Pinot Noir clone 667. There is also 11 acres of Wente clone Chardonnay. Pali plans to produce a vineyarddesignate Pinot Noir and Chardonnay from the property as well as include some fruit for the Summit Sta. Rita Hills appellation bottling. The Huber family will continue to produce Dornfelder from the 1.5 acres planted on the property. C. Donatiello Winery Grand Opening Celebration C. Donatiello, the winery formerly located on Westside Road and a producer of ultra premium Pinot Noir and Chardonnay, has re emerged and is opening a new tasting room at 320 Center Street in Healdsburg. Visit www.cdonatiello.com. Oregon’s Oldest Estate Winery Awarded Historical Status HillCrest Winery and Distillery, the birthplace of Oregon Pinot Noir, was awarded historical status by Oregon Travel Experience and a state marker will be place at the winery to commemorate the first planting of Pinot Noir grapes in the state in 1961. HillCrest was established by Richard Sommer, the “Father of Oregon Wine,” and co-founder of the Oregon Wine Board. Under his leadership, HillCrest was the first winery in America to use stainless steel tanks. The current proprietor is Dyson DeMara who produces 1,400 cases annually from Oregon’s oldest dry farmed hillside vineyards. For more information, visit www.hillcrestvineyard.com. Sideways Author Rex Pickett Releases a Pinot Noir Rex Pickett has released the 2011 Ne Plus Ultra Willamette Valley Pinot Noir. The wine is produced from grapes grown at Twelve Oaks Estate Vineyard in the Chehalem Mountains AVA and crafted by the winemaking team of Drew Voit and Darcy Pendergrass. Quigley Fine Wines helped to fund the project and offer the wine for sale. Total production was 195 cases ($45). Pickett is currently working on a third novel in the Sideways series to be set in Chile. He is also hoping to have a film sequel based on his second novel Vertical. According to Decanter.com (May 22, 2013), Pickett is also pushing to get Sideways The Play on Broadway. After a successful run at the Ruskin Group Theater in Santa Monica last year, the play will open at the La Jolla Playhouse near San Diego in mid- July and is expected to run for five weeks. Tony-award winning director Des McAnuff (Jersey Boys) will direct at La Jolla. New Winemaker at ROAR Wines Gary Franscioni has announced that with the 2013 vintage, Scott Shapely will take the winemaking reigns from Ed Kurtzman. Kurtzman left to devote more time to his own wine labels and successful consulting business. ROAR will now have a full time, in house winemaker. Shapely has worked side-by-side with Ed over the past year and Adam Lee will continue to consult. Hanzell Vineyards to Introduce New Single Vineyard Selections Sixty years after the first grapevines were planted on the Hanzell estate, this producer introduces the first in a series of new Estate Single Vineyard wines. These very limited, small production wines will provide a snapshot of specific blocks of the winery’s 46 planted acres. The 2010o Hanzell Pinot Noir, Sessions Vineyard ($95) celebrates Winemaker Emeritus Bob sessions. Only 99 cases of this wine were produced. The 4.5-acre Sessions Vineyard was planted in 1999 and features unique rootstock and scion combinations. Two additional Estate Single Vineyard wines will be released later this fall: 2011 Hanzell Chardonnay, de Brye Vineyard and 2011 Hanzell Chardonnay, Ambassador’s 1953 Vineyard. In 2014, the winery will introduce wines from two other vineyards, Ramos and Day. Tasting notes for the Sessions Vineyard Pinot Noir can be found on Hanzell Vineyards’ new website which includes one of the most in-depth tasting note archives of Hanzell wines publicly available, allowing a search of vintages dating back to 1967. German Pinot Road Tour 2013 German Pinot Noirs are in a break out mode and this insider tour will include sessions with top German Pinot Noir winemakers, cultural and historical highlights, artisan food and regional cuisine. Taste your way through Franconia, the Rhine area, the Palatinate, Black Forest and Baden. The German Pinot Road Tour includes 8 nights and 9 days, private visits to more than 17 top Pinot Noir estates including Ziereisen, Salwey, Gutzler, Becker, and Thoerle Estate. A special workshop and tasting will be conducted by David Schildknecht, German wine specialist for Robert Parker’s Wine Advocate. For more information call +1 215 991 9892, visit www.treasuresofeuropetours.com or email info@treasureofeuropetours.com. 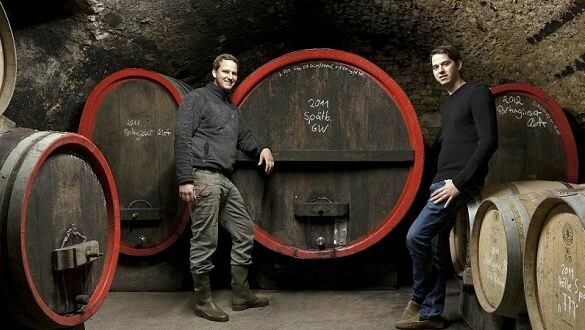 The photo below is of Christoph and Johannes Thoerle of Thoerle Estate in Rheinhessen. Watering Back Alcohol Levels One of the worst kept secrets in winemaking is the often used practice of adding water to reduce alcohol percentages of wines in which grapes are picked at high Brix levels. Consumers consider this practice an inferior form of winemaking. The Drinks Business (May 17, 2013) reported that French winemaker Michel Chapoutier is concerned with rising alcohol levels caused by increasing CO2 levels. To solve this problem he proposed several solutions but was most emphatic about adding water to achieve lower alcohol levels without diluting the flavor. He found that in tests he conducted, wine with water added was preferred of all the samples. Proposal to Reduce Legal Driving Limit to 0.05% BAC The National Transportation Safety Board (NTSB)has proposed lowering the legal limit for BAC while driving to 0.05%. Many groups have been outspoken opponents of this proposal despite the NTSB’s assertion that a driver with a BAC of 0.05% is more likely to be in an automobile crash than a driver who has consumed no alcohol. A driver with the current liomit BAC of 0.08% (0.04% for commercial vehicle drivers) is 169% more likely to have an automobile accident than a sober driver. Currently, more than 100 countries have limits at or below 0.05%. According to the California DMV table that accompanies car registration renewals, lowering the BAC limit to 0.05% would essentially limit drivers to one standard drink, especially if they weight less than 140 pounds for women and 100 pounds for men and two standard drinks would put both men and women at high risk for exceeding the limit. Jackson Family Wines Buys Zena West Vineyard K-J continues to buy up Oregon vineyard land. The 41-acre Zena West Vineyard in the Eola-Amity Hills AVA is the latest acquisition. Zena West Vineyard is adjacent Zena East and Zena Middle estates, which the company bought in March 2013. The three vineyards together are known as Zena Crown and consist of 80 acres of vines. K-J has also bought a 200-acre vineyard known as Gran Moraine in the Yamhill-Carlton district of Oregon. K-J plans to produce premium Pinot Noir from these vineyards. The acquisitions are a stunning change in the Willamette Valley where there has been little large corporate vineyard ownership. NW Wine Co. Acquires Nearly 400 Acres NW Wine Co. bought two Willamette Valley Vineyards for $3.87 million. The Wildewood and Domaine Loubejac vineyards near Monmouth include 385 acres of Pinot Noir and Pinot Gris. NW Wine Co. already manages 185 acres near McMinnville and has a 45,000-square-foot winery and 15-acre vineyard at its Dundee home. NW Wine Co. becomes number two in the state for ownership of planted vineyards behind Duck Pond. Laurent Montalieu is NW Wine Co.’s winemaker and managing partner. Montalieu said that the acquisition was needed to guarantee a supply of grapes needed to supply the custom labels made for restaurants, retailers and distributors in the United States. Valley Fever Cases Rises in Southwest Valley fever, or coccidioidomycosis is a fungus disease that affects an estimated 150,000 people nationwide, particularly in parts of California and Arizona. There is no vaccine or curative treatment. Current anti-fungal medication has marked side effects. The fungal spores live in the soil and can be inhaled into the lungs and can spread to other parts of the body. The Centers for Disease Control and Prevention reports the total number of valley fever cases nationwide rose by 900 percent from 1998 to 2011. Workers in vineyards and winemakers are at higher risk. Todd Schaefer, a winemaker in Paso Robles, California is one of those who became sick after running a bulldozer. 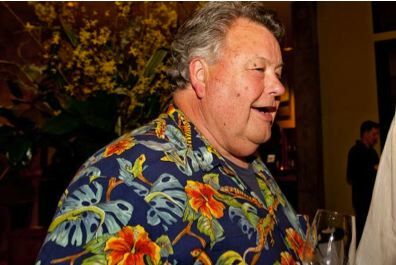 He has been taking antifungal medication for years but his health is faltering as he continues to produce Pinot Noir and other wines at Pacific Coast Vineyards. Visit www.npr.org/blogs/health/2013/05/13/181880987/cases-of-mysterious-valleyfever- rise-in-american-southwest?sc=ipad&f=1001. 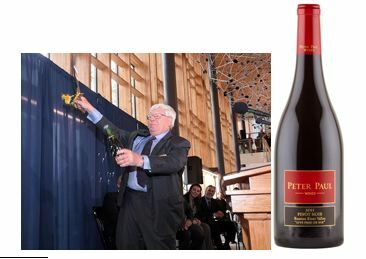 CA Vintner Gives $25 Million plus New Wine to Univ of New Hampshire Each member of the inaugural graduating class of the Peter T. Paul College of Business and Economics at the University of New Hampshire will receive a bottle of 2011 Peter Paul Russian River Valley Pinot Noir with their diplomas. The wine, made by California vintner and university alumnus Peter Paul, carries the designation, “Live Free or die,” a phrase best known as the New Hampshire State motto and first uttered by Revolutionary War hero General John Stark. Mr. Paul gave a $25 million challenge grant to his alma mater in 2008 to build the new business college. 500 cases of the wine are available for sale at www.peterpaulwines.com. Talbott Vineyards Opens New Carmel Valley Tasting Room Located at the corner of Pilot Road and Del Fino Place in Carmel Valley Village, the new 2,800-square-foot Talbott Vineyards Tasting Room will also serve as a museum for founder Robb Talbott’s unique collection of vintage motorcycles and pedal cars. The new location replaces Talbott’s former Carmel Valley Tasting Room, and features an expansive tasting bar and a private Diamond T Room for special gatherings. The site also has a picturesque patio with outdoor seating and bocce ball courts. Photographs detailing the story of winegrowing and winemaking at Talbott Vineyards adorn the walls of the tasting room. Before founding Talbott Vineyards in 1982, Robb Talbott raced motorcycles and had a business restoring and selling antique cars and trucks. The tasting room is open daily from 11:00 AM to 5:00 PM and standard and premium tasting experiences are offered for a nominal charge. Talbott Vineyards also has a Tasting Room at its winery at 1380 River Road in Salinas, which is open Thursday through Monday from 11:00 AM to 4:30 PM. Visit the website at www.talbottvineyards.com. The Eyrie Vineyards Opens Its Library Michael Alberty of Storyteller Wine Company in Portland is always in tune with the latest happenings in the Willamette Valley. He reported recently about the “mythical status of the Eyrie library that is a treasure trove of history and few have ever laid eyes upon the entire collection.” Apparently David Lett, the founder of The Eyrie Vineyards, liked to put aside in his library cases of many wines he made, particularly those he liked. In fact, the more he liked a wine, the more of it he kept back (without telling his spouse). For example, the library contains over three decades of South Block Reserve Pinot Noir kept in perfect cool, dark storage and never made available for sale. When David passed away, there were remarkably about 6,000 cases of library wines in storage. When Jason Lett decided to start releasing wines from the library, he was intent that the wines be pristine so a inspected and re-bottled every bottle so the purchaser is guaranteed there is no cork related issues. Alberty is offering the 1992 The Eyrie Vineyards Estate Pinot Gris ($80), the 1993 The Eyrie Vineyards Estate Chardonnay ($130), the 1995 The Eyrie Vineyards Reserve Chardonnay ($150), the 1993 The Eyrie Vineyards Pinot Meunier ($160), the 1986 The Eyrie Vineyards Estate Pinot Noir ($195), the 1999 The Eyrie Vineyards South Block Reserve Pinot Noir ($220), and the 1983 The Eyrie Vineyards South Block Reserve Pinot Noir ($400). These are spectacular special occasion wines. Inquire at 503-206-7029 or email through the website at www.storytellerwine.com. eMagazine for French Wine Explorers A resource to all things related to France and French wine. This online magazine details timely travel tips and alerts, French wine reviews and articles, and wine touring information all in bite size portions to quickly gain deep knowledge of the food, wine and culture of France. Subscribe at www.wine-tours-france.com. Pinot & Pizza at J Vineyards On Saturday, June 29, renowned chef and author Andrea Mugnaini will cook an array of wood-fired pizzas, paired with J’s Russian River Valley Pinot Noirs and other wines and served on J’s scenic terrace. Chef Mugnaini runs two cooking schools dedicated to wood fired cooking; one in Healdsburg and the other in Tuscany. Buy tickets ($70 per person, $55 for wine club members) online at www.jwine.com. Relation of Alcohol Intake to Risk of Dying from Cancer A new meta-analysis published in the Annals of Oncology looked at more than 48,000 cancer deaths reported in 18 prospective cohort studies. This is the first meta-analysis to explore the relationship between alcohol drinking and risk of all cancer mortality. The analyses demonstrated a J-shaped curve for alcohol and cancer. Light drinkers showed a statistically significant 9% lower risk, moderate drinkers showed no effect, and heavier drinkers shoed a 32% increased risk of all cancer mortality. It is important that the only significant risk in cancer mortality among the almost 50,000 cancer deaths was for consumers of 50 grams or more of alcohol per day (about 3.5 standard drinks of wine). The findings do not support the often publicized statement that any amount of alcohol increases the overall risk of dying from cancer confirming that wine in moderation is part of a healthy lifestyle. Marcassin Will Not Release 2008 Vintage Pinot Noirs Because of smoke taint resulting from wildfires in the Anderson Valley during the 2008 vintage, Marcassin announced in their latest letter to mailing list members that they will not release 2008 Pinot Noirs. Although analysis of the wines shows that they are within acceptable limits for smoke taint, they do not meet the high standards of Marcassin. Bacchus Capital Management Buys Panther Creek The private equity firm, Bacchus Capital Management, has bought Oregon’s Panther Creek Winery from owner Liz Chambers and her family for an undisclosed sum and have hired noted winemaker Tony Rynders to take over the reigns according to WineSpectator.com (May 15, 2013). Ken Wright founded Panther Creek in 1986 and sold the winery in the early 1990s when he founded Ken Wright Cellars. The Chambers family bought it in 2005. Chambers retained the winery in McMinnville and plans to launch a new label, Elizabeth Chambers Cellars with Michael Stevenson as the winemaker. Bacchus Capital Management is also buying a stake in Washington-based DeLille Cellars. The “Serve a Minor” Felony Bill AB 1128 is currently on a fast track to pass through the California legislature. This bill amends Business & Professions Code Sec. 25658 and increases the penalty for sales to a minor from a misdemeanor to a felony when the minor causes an injury, damage or death to others. If a winery serves a customer in their tasting room who is younger than 21, and that person later gets into an accident or commits a crime like assault where alcohol is a factor, the winery will end up with a felony which bars them from the wine industry by revoking their license for at least a decade. Basically, AB 1128 is a death penalty for individual and corporate alcoholic beverage licensees. Many youths under age 21 have good false identification, but when they get caught driving drunk or in an accident, they ditch their fake ID and show their real identification. It becomes their word against the word of the winery. Winery Closures & Sales Anderson Valley Pinot Noir specialist Londer Vineyards is closing after 12 years. Larry and Shirlee Londer sold their vineyards in 2011 and relocated to Colorado to be close to their family. They continued to make wines and support the brand, but eventually decided to exit the business at the end of May. Gary Farrell parted ways with Alysian as of April 30 for personal reasons. He plans to take a harvest off and travel extensively and actively buy and sell collector cars at auctions throughout the country (something he has done as a hobby for years). Also in Anderson Valley, the Klindts have sold Claudia Springs Winery, and Elke’s Donnelly Creek Vineyard and the Esterlina Estate vineyard and winery are for sale. Evening Land Vineyards Property in Sta. Rita Hills Sold Sommelier Rajat Parr and winemaker Sashi Moorman have bought an extreme site 6.5-acre vineyard in the Sta. Rita Hills owned by Evening Land Vineyards that is planted to Pinot Noir and Chardonnay and an adjacent 6.5 acres of plantable land. One of the vineyards is Memorious, planted to Pinot Noir from seeds and on its own rootstock. The new project will be called Domaine de la Côte. Normacorc Introduces First Zero Carbon Footprint Closure Normacorc has introduced Select® Bio, a closure made with plant-based polymers from sugar cane. The wine closure is meant for sustainable wineries and their wines. Select® Bio is 100 percent recyclable and made using renewable materials. The closure can control oxygen ingress (several different oxygen ingress levels are offered), reducing wine’s susceptibility to spoilage due to oxygen mismanagement and improve post-bottle aging and bottle-to-bottle consistency. New Blog for Winemaker Adam Lee Adam Lee has launched a new blog at www.adamleesiduri.blogspot.com/ to share his thoughts about Siduri and Novy wines, wine in general, and whatever else crosses his mind. Adam told me he wanted to be a wine writer so this gives him an outlet. Wine Additive to Counteract Sulfites Miles and Christina Clifford of New Zealand have released UBFree that eliminates free sulfites in wine and thereby allowing people with sulfite allergies to enjoy wine without side effects. UBFree eliminates most free sulfites in wine and introduces a mineral to assist the body in processing the rest. UBFree comes in a dropper bottle or a sachet. The additive does not change the flavor of wine unlike other similar products that have been developed in the past. Available online at www.ubfreewine.com. Eating and Drinking Well in Sonoma County Wine Country I recently spent ten days in Sonoma County and there are two restaurants in particular that stood out. One is Diavola in Geyserville, about a 15 minute drive from Healdsburg. Brick walls, very casual, outstanding servers, solid wine list, and great innovative Italian food including wood fired oven pizzas. No reservations so arrive early. The second is Glen Ellen Star in Glen Ellen, Sonoma Valley. Tiny, but comfortable, especially the patio. Veggies are the center of attention here and everything is meant for sharing. Outstanding wine list. Best wines I drank over the 10 days? 1997 Williams Selyem Rochioli Vineyard Pinot Noir (magnum), 1991 Williams Selyem Summa Vineyard Pinot Noir (magnum) (both wines enjoyed from Burt Williams’ cellar and graciously shared by him), and 2009 Morning Dew Ranch Jan’s Cuvée Anderson Valley Pinot Noir (Burt’s last wine). In my opinion there has never been a California Pinot Noir winemaker the equal of Burt Williams. Voluntary Nutrient Content Statements. TTB Ruling 2004-a, issued May 28, 2013, authorizes “truthful, accurate, and specific voluntary statements about nutrient content, including calorie and carbohydrate content, in the labeling and advertising of wines, distilled spirits, and malt beverages.” Labeling or advertising representations that mislead the consumer about the nutritional value or health effects of alcohol beverages are prohibited. This is an interim policy while rulemaking is completed. View the ruling at www.ttb.gov/rulings/ 2013-2.pdf. World’s First Smartphone Breathalyzer, BACtrack Mobile™ I believe this will become very popular among wine drinkers who dine out frequently as it is a reliable way of measuring BAC with an iPhone. The breathalyzer unit connects to an iPhone wirelessly via Bluetooth and quickly estimates your BAC using an accurate professional-grade alcohol sensor. The BACtrack can save results and estimate when the BAC will return to 0.00%. It also has sharing capabilities. Price is $149.99, significantly cheaper than a DUI. Visit www.bactrack.com. Floome™ Personal Breathalyzer device works with Smartphone to Measure BAC This device plugs into your smartphone to tell you if you have had too much and how long you need to wait to get behind the wheel. This product was just launched by 2045Tech and the makers say it is the first portable personal breathalyzer to incorporate the same sensors that the policemen use. The user blowers into the device which connects to a smartphone via the headphone jack. An app then displays the blood alcohol content. It can also call a taxi. Floome is selling now via an Indiegogo Flexible Funding campaign for $65 and will be $80 when it is released to retail this fall. Visit www.2045tech.com. Wireless Breathalyzer for Remote Alcohol Monitoring SOBERLINK, Inc., is a technology company based in Southern California that has developed a wireless breathalyzer much sought after by parents of college-aged students. Binge drinking is on the rise with more than 50% of college students affirming that they drink excessively within any given two-week time period. SOBERLINK's handheld device monitors sobriety by sending breathalyzer results to a cloud-based website for review, increasing safety among college-aged students and providing peace of mind for their parents. The SOBERLINK device has a built-in camera for user verification and cellular module for wireless transmission. Visit www.soberlink.net to learn more. Urban Wine Xperience The 8th Annual Urban Wine Xperience, sponsored by the East Bay Vintners’ Alliance (EBVA), will be held on Saturday, July 27 at Oakland’s Jack London Pavilion. Over 15 urban wineries from the EBVA will pour a wide variety of wines and local eateries and food purveyors will create bites to pair with the wines. Guests can enjoy the outdoors and dance to live music. Noted Pinot Noir producers include Aubin Cellars and Stomping Girl Wines among others. Early bird tickets until June 26 are only $35, $45 after that date. For tickets, visit www.brownpapertickets.com/event/385762. 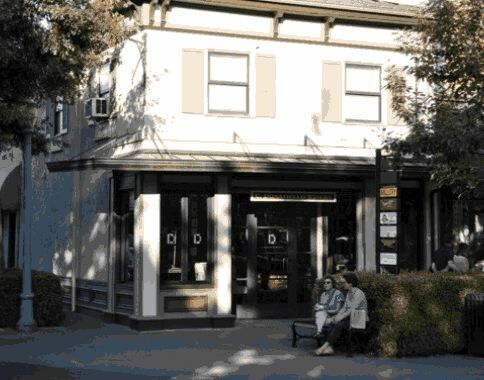 Mueller Tasting Room Opens Mueller Winery will open the doors to its new tasting room on Saturday, June 1, at 118 North Street across from the Raven Performing Arts Center in Healdsburg. Mueller, founded by Robert Mueller, is a top producer of Pinot Noir. Emily’s Cuvee is the flagship wine, first produced from the 1994 vintage. Why I Love Oregon Pinot Noir Contest Willamette Valley Vineyards is sponsoring a contest for Pinot Noir enthusiasts to share their experience about when, where or how they fell in love with Oregon Pinot Noir. Now in its ninth year, the contest's winner will win an all-expense paid trip to Oregon Wine Country and Willamette Valley Vineyards valued at $4,000. Submissions are accepted now through July 31, 2013 and can include a short essay, photo, artwork or video. Visit www.wvv.com/contest for the official rules to enter the contest. Winners will be announced August 9 at www.wvv.com.